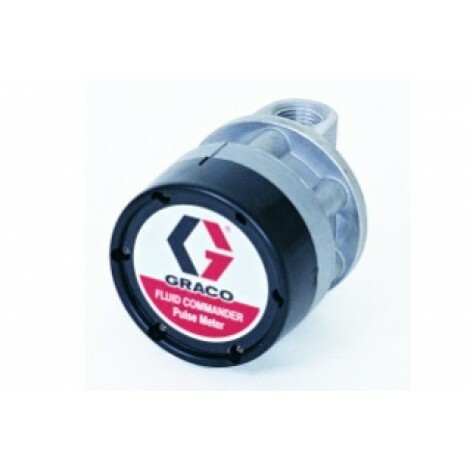 Graco Electronic Pulse Meters are designed to measure the flow of fluids being sent to dispensing points, and relaying those pulses back to the module in order to determine the amount of fluid released. These can be adjusted to record in either U.S. or metric units. This pulse meter is intended for use with oils, gear lube, and automatic transmission fluid.